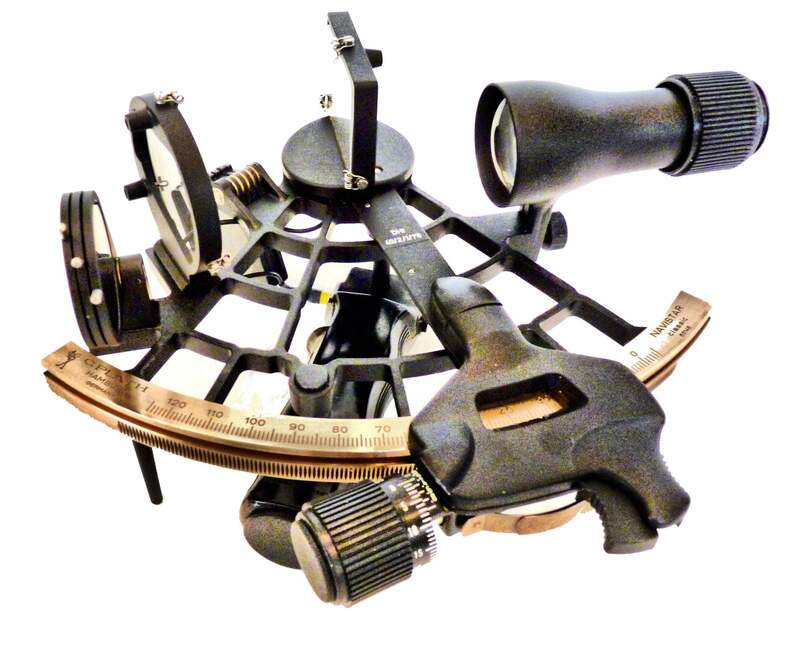 To view our current inventory of premium high quality sextants and artificial AKA bubble horizons, click here! This Fine Bubble Horizon Has Been Sold. 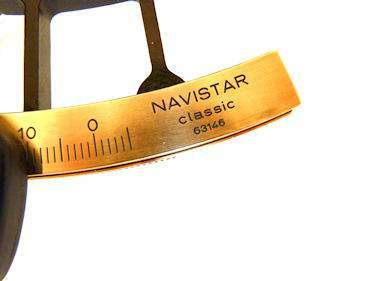 We have sold numerous examples of the Plath Navistar Classic and it derivatives through the 1991 version which had a rectangular whole horizon horizon mirror and was made just before Plath sextant production ceased. 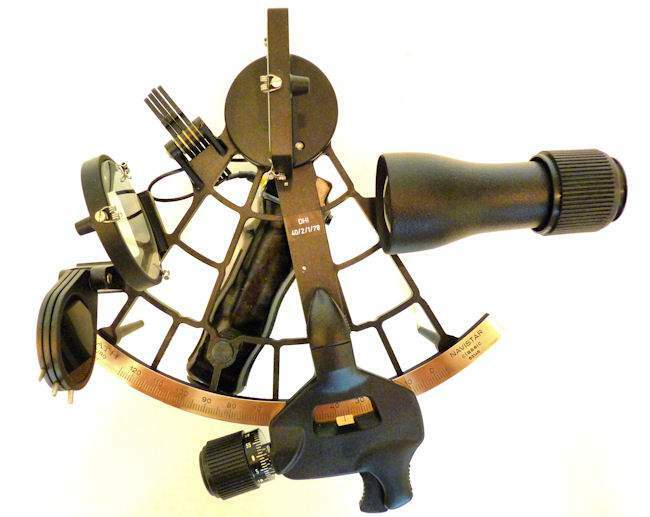 Of this group, we have seen none in combination with a whole horizon mirror and a bubble horizon with a 4 x 40 star scope. The mirrors fitted are also 2 mm larger than on any other we've measured. Based on personal inspection we conclude it was purchased by someone demanding only the finest and then never used. Consequently, we classify it as in flawless "Collector Quality" condition. 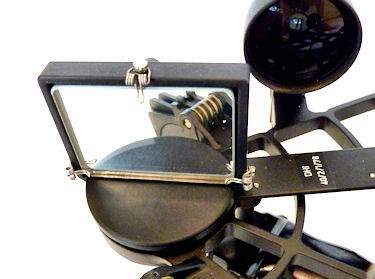 C. PLATH ARTIFICIAL HORIZON: The early versions which date back to 1936 when Plath made the Admiral Cago Cuthino airship sextant, and before as Plath grew their CelNav business and set a standard of precise engineering and technical excellence. 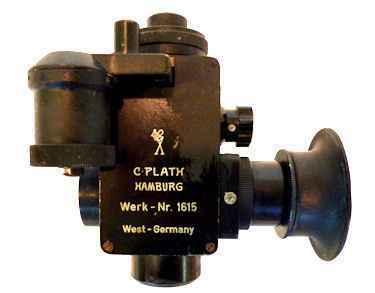 Through the course of WW II, this included stand alone bubble sextants and attachments such as the one pictured on the left below. During the War, and directly thereafter, these units had the ability to increase and decrease the size of the bubble to suit the bodies being targeted. After the War, the first bubble horizons had this adjustable feature, but it was an expensive feature that due to lessening demand and increased unit cost, resulted in it being eliminated along with other costly features in those that followed. 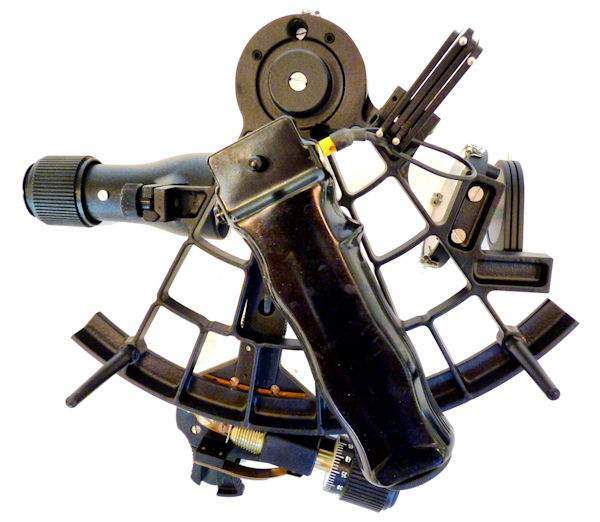 The unit being sold here which is pictured at the top of the page mounted on the sextant has the prestigious DHI approval label and most of the features of the WW II more expensive bubble horizons which include a 3 power scope with adjustable ocular lens that can function as the primary scope, the ability to center the bubble on the grid for more accurate sights, internal lighting and rugged heavy duty construction. A supplementry sun shade is included and the internal light is adjustable. The Ca 1990 Plath bubble attchement was a low cost compromise and was introduced near the end of Plath's involvement with sextants. 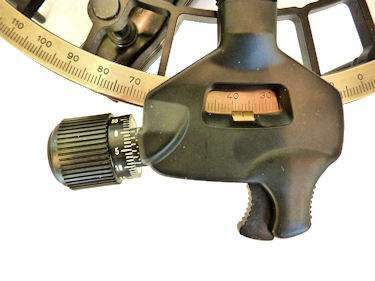 There is no instruction booklet, but the device is simple to use and provides an artificial horizon using paired cross-hairs giving a horizontal and vertical reference. The bubble is centered at the midpoint of the cross-hairs and the celestial body is brought into coincidence with the bubble's center. 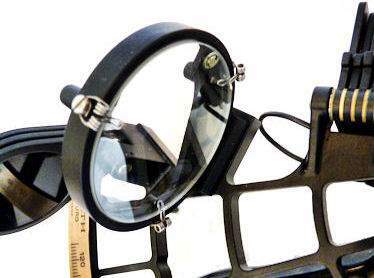 The Plath Bubble Horizon is far superior to a normal artificial horizon which can only be used for objects with altitudes of less than 60 degrees and can not be used for twilight sights. This makes it ideally suited for land based training applications, for land navigation and for use at sea from ships large enough to be a stable platform. 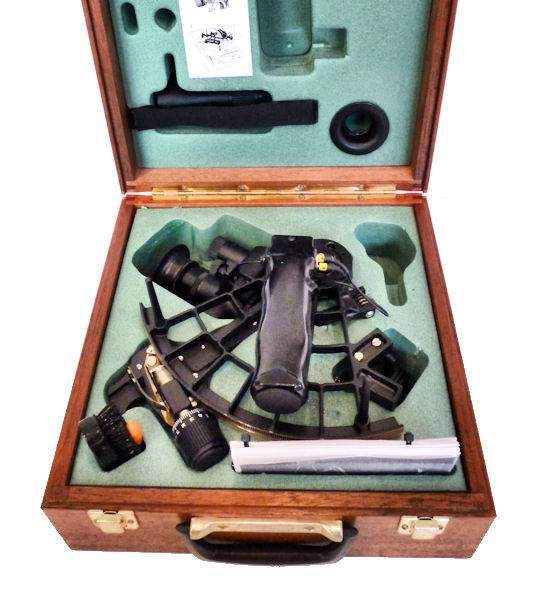 Interestingly, in the 1970-80's this device, in an earlier form, was issued to U.S. submarines for back-up celestial navigation. Ref. Dutton's Seamanship & Navigation, 12th Edition, Article 2206, page 385. CONDITION: Appears to never have been used. Complete with originally fitted Plath whole horizon mirror and an artificial bubble horizon. These two expensive options are rarely seen. It operates like a well oiled piece of machinery, with NO faults even minor ones. Both mirrors shows as NEW. All the chrome hardware sparkles, and the illumination works. The bronze arc shows "as new". All the paint is well bonded and looks fresh. There is no index or side error. 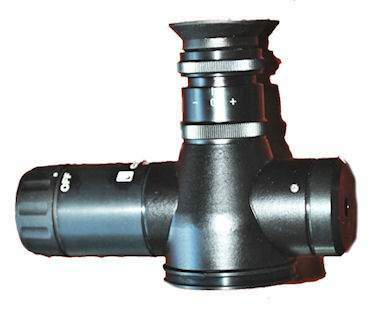 There is no certificate which is not uncommon, and unnecessary in C.Plath sextants since the Navistar Classics were made to a tested accuracy of 10 arc seconds or less. For practical purposes this makes them error free in use. 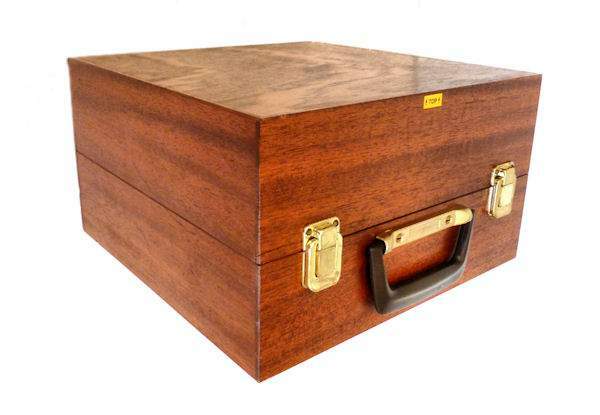 The flame grain Mahogany, no lock, case case has some minor scuff and other marks from handling, otherwise it to is perfect. 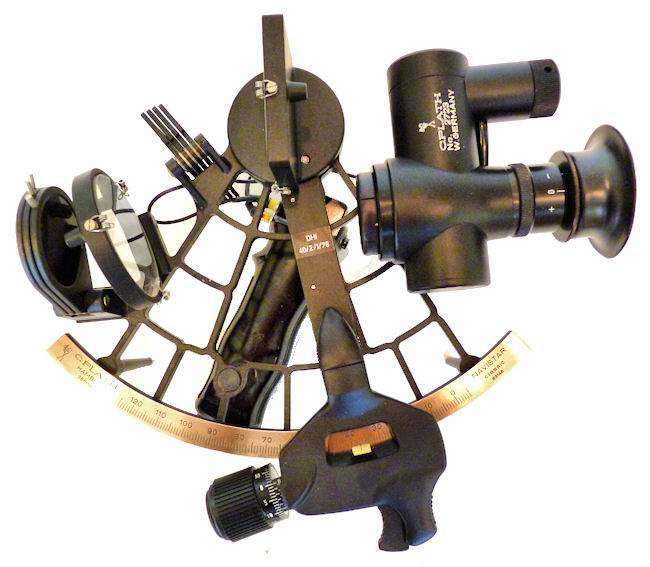 Overall, it is one of the finest Navistar sextants we've ever oferred. Bubble horizon 10 1/2 oz. Weight case 6 lbs.